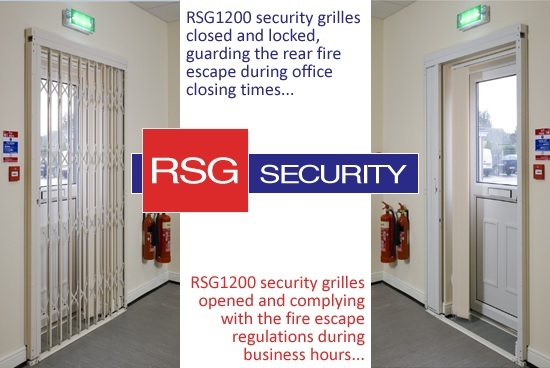 The above photos display RSG1200 Security Grilles fitted to the rear fire escape of an office in London, without compromising the fire escape regulations of this particular building. 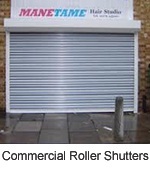 For more information about similar security products, please visit RSG Security Shutters and Grilles. Safety is a priority and everyone’s responsibility-this is enforced in the UK by the creation and implementation of Building Regulations. 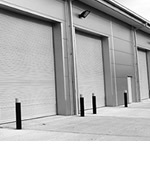 Building work in the United Kingdom should comply with the Building Act 1984 and the Building (Scotland) Act 2003, which set out the Building Regulations for the UK. Building regulations seek to ensure that the related policies are fulfilled and a Building Regulations approval is generally required for such work. These regulations include 13 sections, which are accompanied by Approved Documents stipulating the legislation and means of satisfying the Regulations. The first part of the Building Regulations requires buildings to be structurally safe and robust during the phases of construction, without impairing the structural stability of other buildings. Thus, the buildings have to be altered and designed as per standards as well as rules for most masonry and timber elements, then built in a way to ensure the probability of collapse, or ground movement that could destabilise the building, is nil. Safe means of escape from the building. Stability of a building to be maintained in a fire, both internally and externally. Internally – The wall lining on the walls and ceiling will resist the spread of flames and give off reasonable levels of heat, if on fire. Internal stability will be maintained during fire, so that fire and smoke spread to concealed spaces in a buildings structure will be prohibited. Externally – The external walls and roof will resist spread of fire to walls and roofs of other buildings. The building will be easily accessible for fire fighters and their equipment. The Building Regulation (16B) 38 further requires the designer and/or constructor to give the fire safety information to the Responsible Person upon completion. Other Fire Laws include the Fire Safety Order 2005, which will require a Fire Risk Assessment to be carried out once a building is occupied, to take into account how the users are actually using the building, and the “Responsible Person” to provide and maintain “adequate and sufficient” General Fire Precautions. The Fire Safety Order 2005 is criminal law, and breaches of this law can result in the “responsible person” being jailed, for up to two years and/or £10,000 for each offence. More precautions and enforcement are ensured by the local Fire Authority. Corporate offences may have unlimited fines. In order to meet the Fire Risk Assessment that is required by the Fire Safety order 2005, it may even be necessary to exceed the minimal requirements of the Building Regulations. Nothing should be growing on the ground covered by the building. Precautions must be taken to stop gases and dangerous substances from previous land use from entering the building and endangering the health and safety of occupants. Subsoil drainage will be in place, if needed, to stop the passage of ground moisture to the interior of the building and to prevent damage to the fabric of the building. The walls, floors and roof of the building shall prevent moisture passing to the inside of the building. The building must have provision to prevent condensation occurring in the roof structure. 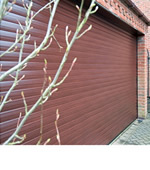 Prevention must be taken to stop fumes, which are created when insulated materials are inserted in cavity walls, from reaching occupants of the building. The Regulations require referring to Part C for controls on toxic hazards from ground contaminants and/or brownfield development. To meet a minimum sound insulation performance standard, separating floors and walls between domestic dwellings are required. This applies to both new ‘purpose built’ and converted ‘material change of use’ properties. Purpose Built – The sound insulation value for each individual airborne test should be equal to or greater than 45dB DnTw+Ctr. Each individual impact test should be equal to or less than 62dB LnTw. Material Change of Use – The sound insulation value for each individual airborne test should be equal to or greater than 43dB DnTw+Ctr. Each individual impact test should be equal to or less than 64dB LnTw. New internal walls and floors within dwelling-houses, flats and rooms for residential purposes-whether purpose built or formed by material change of use, should achieve a minimum performance of Rw 40dB when tested in a laboratory. Care should be taken to ensure site conditions are appropriate before testing commences to ensure tests can be completed and that the best results are achieved. Pre Completion Sound Tests have been required since July 2003 to ensure compliance with Approved Document E, unless the Robust Details approach is adopted, see Part L below. Testing is to be undertaken by a UKAS registered test organisation or European Equivalent (e.g. ANC). A list of preferred UKAS accredited companies and ANC accredited companies can be found at www.ukas.org and www.association-of-noise-consultants.co.uk respectively. A house must have either a bath or shower with ability to heat water. Unvented hot water storage systems – restrictions apply to who can install the system. An adequate system to carry water used for cooking, washing, toilet, bath or shower to a sewer, cesspool or settlement tank must be in place. A cesspool or settlement tank must be impermeable to liquids and have adequate ventilation. It must also have means of access for emptying, not harm the health of any person and not contaminate water or water supply. An adequate system to carry rainwater away from the roof of a building e.g. guttering carrying water to a sewer. A place to put a wheelie bin or dustbin. The place must not harm anyone’s health. Must have an adequate air supply for combustion and for efficient working of a fluepipe or chimney. Appliances shall discharge the products of combustion to the outside. The appliance, fireplace and chimney shall reduce the risk of the building catching fire. Stairways, ramps and ladders safety. 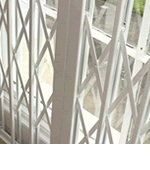 Requirements for balustrading, windows, and vehicle barriers to prevent falling from floor edges, etc. Requirements for guarding where there is a risk of falling, pedestrian and vehicle barriers, and requirements to prevent injury from (opening) doors and windows. Control of the insulation values of building elements, the allowable area of windows, doors and other openings, air permeability of the structure, the heating efficiency of boilers and the insulation and controls for heating appliances and systems together with hot water storage and lighting efficiency. Air permeability is measured by air tightness testing for new dwellings, all new buildings other than dwellings and large extensions to buildings other than dwellings. Requirements for SAP (Standard Assessment Procedure) calculations and Carbon Emission Targets for dwellings. Regulation 16 requires the advertising of the SAP rating in all new dwellings. Approved Document L1 is supported by a set of ‘robust’ tried and tested construction details, now known as “Accredited Construction Details”, which focus on way of limiting air leakage and thermal bridging in construction, while avoiding expensive on-site testing. Requirements for solar heating and heat gains to structures. It controls heating, mechanical ventilation and air conditioning systems, lighting efficiency, space heating controls, air permeability, solar emission, the certification, testing and commissioning of heating and ventilation systems, and requirements for energy meters. With the amended Building Regulations, Part L new requirements give issues of Lighting, ventilation, solar heat gain and possible overheating more emphasis. They also require designs to avoid solar gains, leading to excessive summer temperatures. For all people to gain access and use the building. Toilets provision shall be made available for all. If a building has seating such as audience or spectator seating, reasonable provision should be made for people with disabilities. However, the Part M Approved Document is NOT written as a means of ensuring compliance with these legal duties. It is written to ensure that the design of a building does not create physical barriers to a building’s inclusive use, over its lifetime. 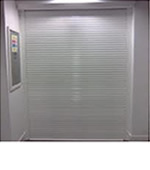 Glazing that people come into contact with whilst in a building, should, if broken, break in a way unlikely to cause injury, resist impact without breaking or be shielded or protected from impact. Buildings, other than dwellings that have transparent glazing which people come into contact with while moving around a building, must have features to make it apparent. 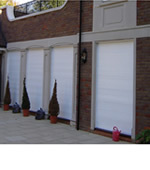 Windows that can be opened must be operated safely and provision made for safe accessible cleaning. 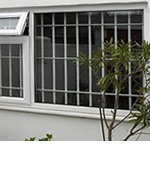 Safety requirements relating to the use, operation, and cleaning of windows. Although new rules for electrical safety in the home, the garden and its outbuildings exist, the Approved Document P only applies to dwellings (in some cases, buildings that would be exempt but which take their electrical supply from a dwelling). Several government approved competent persons schemes support Part P. Sufficient information shall be provided so that persons wishing to operate, maintain or alter an electrical installation can do so with reasonable safety. Under this section, it is expected that reasonable provision is made in the design, installation, inspection and testing of electrical installations in order to protect persons from fire or injury. Installers who are members of a certified “Competent Persons Scheme” may carry out electrical work without the need to submit a formal building regulations application. Better be sensible and safe than sorry; abiding to the Building Regulations will only be in your favour as you take the necessary precautions in ensuring your dwelling and the people inside it as well as around it are indeed safe.